How is it like to be a woman in India? The play No Rest in the Kingdom tries to present subtle challenges women in this country, and almost anywhere, face every day. BENGALURU: How is it like to be a woman in India? The play No Rest in the Kingdom tries to present subtle challenges women in this country, and almost anywhere, face every day. 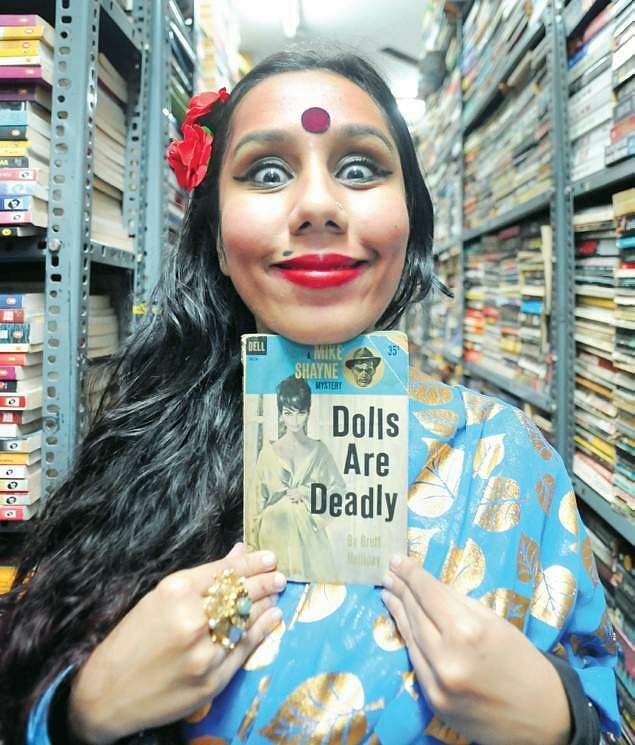 Written, directed and performed by Deepika Arwind, it talks about how gender politics baffles urban people. It tries to tackle instances specific to our urban context, where the characters speak the language of technology or consumerism, says Deepika, adding, "the play doesn't have a story. The characters deal with the constant, sometimes subtle, male aggression present in our daily lives." Deepika says the play was written over three to four months last year and in spurts. "I have been trying to work on myself as a performer, and slowly all the efforts consolidated into the form it is in now," she says. Is it easy to be a woman in India? She says, "There is no definitive answer to that without taking into consideration where we are located and what kind of privilege we enjoy. But, as women, we do have common experiences - a sense of fear about many things - whether it is in public spaces or in the night, or when the gaze is on us." "It could be a stranger telling you that your bra strap is showing or you having to fake a conversation over the phone, so that a cab driver or auto driver knows that a family member or friend is tracking you." It is a good time to be in theatre, she says, adding, "women are taking control of plays' narratives, both in form and in content." The play has completed ten shows at several places across the city. Do not miss another show at Atta Galatta, Koramangala on April 23 at 7.30 pm.